This is truly going to be an amazing Fall season for DVD releases, and this list doesn't include a couple of other titles I'm anticipating but have not been announced. So...who else anticipates having no $$ for their Holiday Shopping and what titles are you definitely picking up? Last edited by indianajdp on Thu Jul 31, 2003 12:05 pm, edited 2 times in total. You've got quite a list indianajdp. I don't have much extra cash either. Bill Elliot's #9 die-cast car with Lion King paint scheme: $65. I also want to get the Indy trilogy, Finding Nemo, the Italian Job, the Lizzie Mcguire movie and numerous others. And whatever else there is, Disney release wise..
You should be able to get many of these for like $20, maybe a little less, if you get them the first week they are released, so you won't be spending quite as much money. This is going to be a very Merry Christmas morning indeed. What would this wretched world be like without Disney? Plus, if sets for NewsRadio and Freaks & Geeks come out by the end of the year, as expected, those are two more to add. I'll pick up the Vegas Vacation and Christmas Vacation widescreen re-releases at some point, same with Space Jam and the new, unfortunately barebones Sixteen Candles DVD. If the Scorsese SEs come by year's end, that's still more I'll have to get. Definitely will be getting some of these through Columbia House. Oh, and the September 2 Disney live action Special Editions - maybe through CH. don't forget most of this tittle will be on sale! and you can always put them on layway at wal mart! I've heard about the WS re-release/20th Anniversary of the original Vacation movie, but they are doing it on Christmas Vacation too?!!!! Christmas Vacation is my favorite of the four films and one of my top 3 favorite Christmas movies! I've been holding out to get the DVD until there's a WS version!!! When is it being released???!!! Is WB doing this with any other DVDs any time soon, cause I know they've released a LOT of P&S. I think someone recently said something about a re-release of A Christmas Story? Unfortunately, we bought the P&S version last season just cause we loved it and didn't even have the VHS. Vegas Vacation: Widescreen is coming the same day. A widescreen Christmas Story is supposed to be coming later this year. And as discussed elsewhere, Space Jam. Thanks a lot for the Vacation info! and maybe the Indiana Jones Trilogy... oh lord, help me! 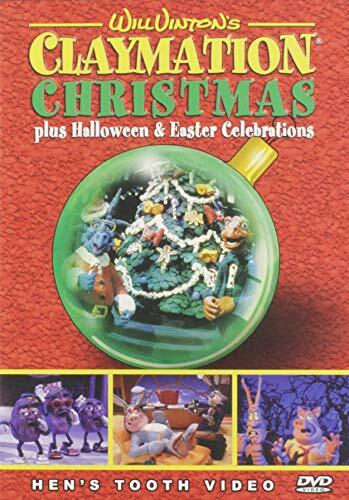 This was a Holiday Special that debuted in 1986 or '87. Remember the California Raisins? Little claymation characters that sang soul melodies in commercials? That same technology was used to make this special. Different characters were created to sing holiday tunes during skits in the 30-minute special. This is one that was probably on for maybe ten years or so and I really enjoyed it. That explains it-10 yrs ago I was only 5 and in 1986/97, I wasn't even thought of yet! Goodies? it is the goonies? I own the Original Theatrical Edition of The Lord of the Rings: The Fellowship of the Ring. I bought it the day it came out with no patience (because I loved it so much) only to find a trailer on the DVD for the Extended Edition coming out 3 months later. I am not that interested in the special features of TLotR, but I was wondering if it was worth it to upgrade to the Extended Edition of "Fellowship" and get the EE of The Lord of the Rings: The Two Towers just for the extra film footage.